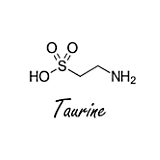 Supplementation with taurine increases the endurance of athletes. Sports scientists at St Mary's University in London conclude this in a meta-study that has been publshed in Sports Medicine. A single dose of 1 gram of taurine, taken before a workout or competition, works just as well as higher doses taken by athletes over a longer period. The researchers traced 10 previously published human studies. In these studies, the researchers sometimes looked at the speed, but usually at the endurance of their test subjects. In the studies, the dose varied from 1-6 grams of taurine per day. In 6 studies the subjects received a single dose, in 4 studies they received the supplement for several days in a row. The meta-analysis showed that supplementation with taurine indeed improved sport performance, but also that the effect was small. It was remarkable that both the duration and the dose were independent of the size of the effect. A single dose of 1 gram of taurine taken before the test was just as effective as a 2-week supplementation schedule with 6 grams of taurine per day. Click on the figure for a larger version. "The implications of this study are that human endurance performance can be improved by orally ingesting taurine of varying doses (1-6 g), with as little as a single acute dose", concluderen de Britten. "This can be viewed as a relatively simple and inexpensive way of increasing endurance capacity to improve athletic performance or clinical outcomes." "The population that would most benefit from this supplement remains unclear, given the range of subjects used across the ten selected articles, and future research should also investigate the effects of oral taurine supplementation across participants of varying age, health and training status." Most of the studies in which researchers administer L-arginine to humans are disappointing. The amino acid has zero effect. That may be because researchers are using L-arginine in doses which are too high for humans. 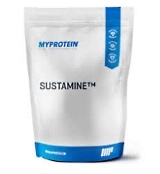 When doing endurance sports, several hundred milligrams of the dipeptide L-alanyl-L-glutamine can help you to a better performance than an energy drink containing electrolytes and carbohydrates. The dose that the researchers needed was modest to say the least: 2.4 gram L-citrulline per day.